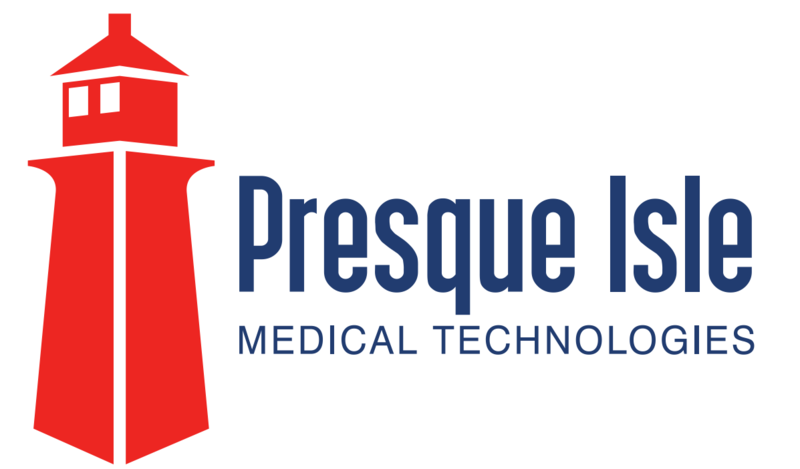 Presque Isle Medical Technologies was founded in 1975 by my grandfather Morton Heifetz. Morton came from a very academic family. His father was a Rabbi and educator and his 3 brothers, all very successful in school, went on to receive advanced degrees in their respective fields. Morton, on the other hand, suffered from dyslexia and never really made it in school. His father, recognizing that academic success is not necessarily the key to a successful life, enrolled him in a vocational high school to learn a trade. Morton studied to become a plumber, which probably saved his life when he was drafted into the Navy during the Korean War. You see, Morton had very good coordination and skill leading him to receive marksman status for his perfect aim. Instead of being sent to the front lines as a sniper, though, he was ordered to a training facility located on an island in the Pacific to manage the maintenance team there. Coming back from the war, Morton tried to find a job that would suit his skill set and expertise. He worked for some time with his uncles who ran scrap metal yards but was not satisfied. One day Morton found out about the field of orthotics through a neighbor of his who worked in the field. Drawn to the ability to use his craftsmanship and skills to enhance the lives of others, and provide for his family in the process, Morton jumped at the opportunity. After many months of training and internships Morton became a Certified Orthotist and was ready to go. A little while into his Orthotics career Morton befriended the Chief of Staff at the Shriners Hospital for Children in Erie, PA, Dr. Karl Frankovitch MD. Recognizing Morton’s innate abilities and skill, Dr. Frankovitch offered him a contract to provide the pediatric Orthotic care for the children treated at Shriners, and Presque Isle Medical Technologies was born. One of Morton’s greatest strengths was the understanding that knowledge is key. Some in the orthotic industry were known for slow advancement and lack of innovation. People liked to just continue doing what they were used to and new products and techniques were slow to gain traction. Additionally, there were only a small number of clinical educational programs available and most were technical rather than clinical training. A good example is the use of the Milwaukee Brace for Scoliosis correction, the typical brace used for the non-surgical treatment of scoliosis when Morton was first starting out. The Boston Brace, now known as the ideal bracing treatment for scoliosis, was developed and patented in 1975 by Bill Miller and Dr. John Hall as the first thermoplastic bracing system for the non-operative treatment of scoliosis. Other providers in the area were hesitant to move away from the tried and true, even with the evidence showing the enhanced benefits of a lower profile brace and more effective treatment outcomes. Recognizing the need to always be learning and growing in knowledge, technique and expertise, Morton, along with Dr Frankovitch, traveled to Dr. Hall in Boston to train together in the boston brace treatment protocol. As we continue into our 3rd generation, being at the forefront of clinical expertise, knowledge and technology is what drives the success of our patient-centered model of care. Using 3d scanning for our cranial remolding bands enhances our patient experience and reduces the stress to the baby and parents. Our cloud based EMR and order tracking system allows us to give you clear transparent answers about your care, whether it be the timeline for completion or your financial responsibility per your insurance. 3d printing is enabling us to reduce wait times for prosthetic diagnostic sockets. It also allows us to fabricate 3d printed custom-shaped protective covers for our prosthetics without the need to take the prosthesis into our lab, which allows our amputee patients to continue using their prosthesis during fabrication. Providing orthopedic bracing for the children at Shriners was the main focus of Presque Isle Medical Technologies for more than four decades. Over that time, there were changes made and new projects and systems implemented. These systems and processes have enabled Presque Isle to expand from servicing one hospital account at the local office in Erie, to be able to provide life-changing services and products for amputees and differently abled individuals across four states at hundreds of facilities and hospitals. But, one thing has not changed. Our dedication and passion to embracing knowledge, compassion, growth and technology to enable the children and adults we serve to live with confidence and independence.